Are you hoping for some Biscuits and Gravy like in the picture? Me, too, but that's not the new breakfast sandwich is. Please don't think of it as click-bait, I'm just hoping Kwik Trip is reading this and realize how great it would be to have a warmer with single servings of sausage gravy available for purchase. 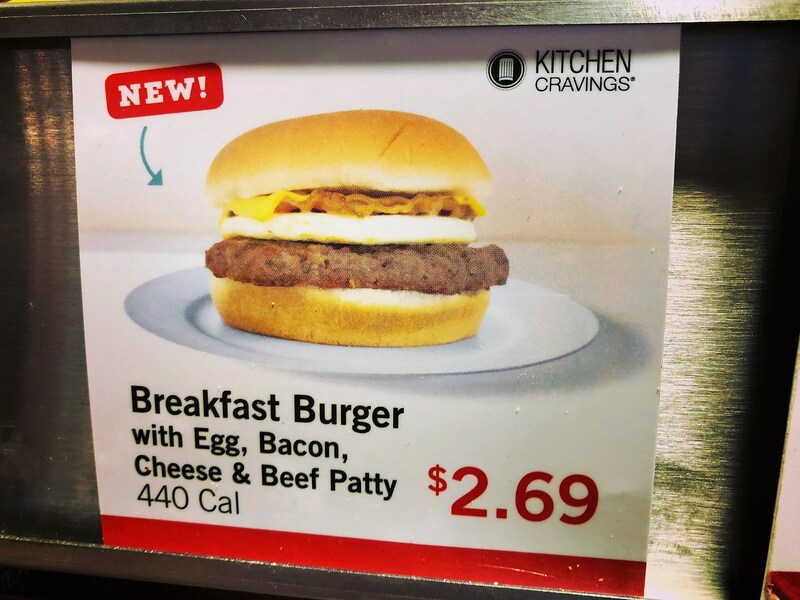 Now, onto the new breakfast sandwich. Check it out! Of course, I tried it. It's pretty darn good. The bacon seems like an afterthought (it's really thin and didn't show up in the flavor profile), but other than that, good taste and with all that protein, super filling. And imagine if there were individual servings of warm sausage gravy available to dunk it in? ps - If you're watching your sodium intake, this baby has 1020mg or about 43% of the salt you need in a day. Full Disclosure: Kwik Trip advertises with Townsquare Media. Listen to James Rabe 6a to 10a on Y-105 FM.